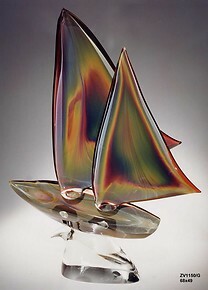 Murano glass sculptures representing boats: boats, yachts. 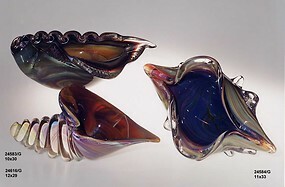 Massello glass processing. The sea, the freedom, the scent of the wind. 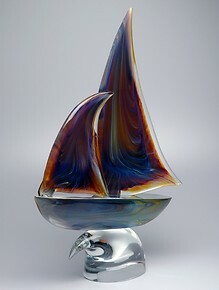 It is not difficult to imagine why the figure of the sea man is associated with silence, introspection. Perhaps because the sea does not need explanations, it is the origin of life. Man has always tried to break the boundaries of the sea by adventure, challenge or to look within itself the true essence of life. Because everything comes from the sea.